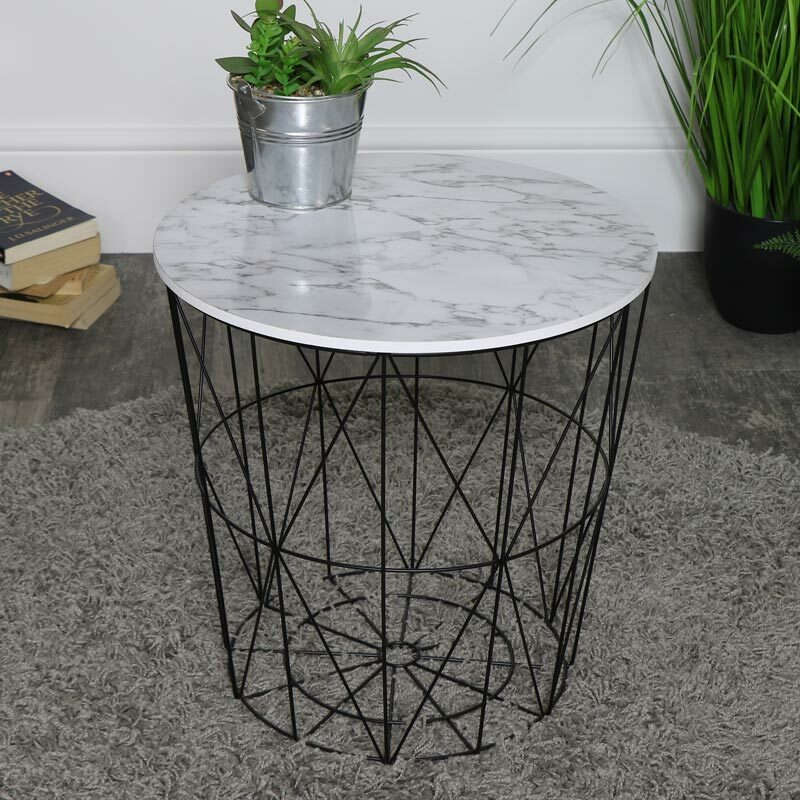 Round black basket storage style table with white marble effect top. 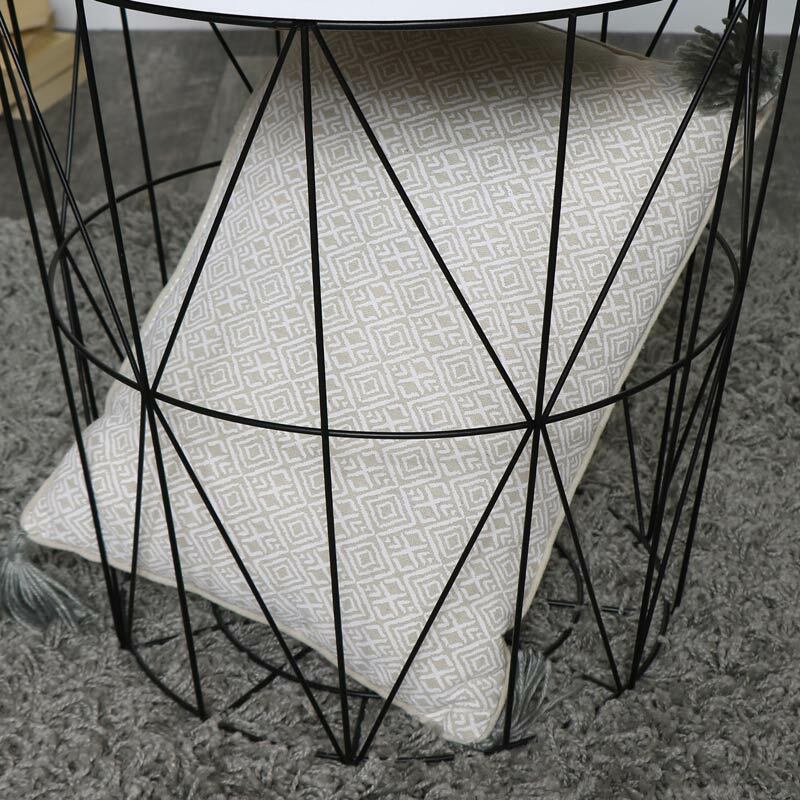 Perfect occasional or side table for a the modern, contemporary Scandi style living room. Basket base offering storage for smaller spaces or loft living style apartments. Table top sits snugly on the basket and can be easily removed. With even more tables in a great choice of colours and sizes available. Versatile table offering great storage with a practical purpose. 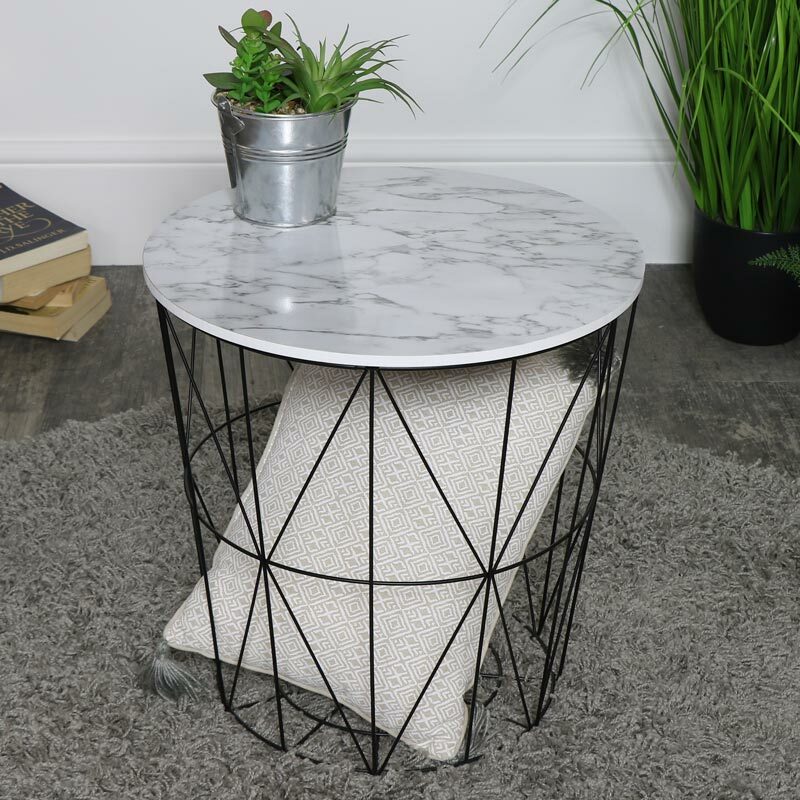 Round black basket storage style table with white marble effect top. 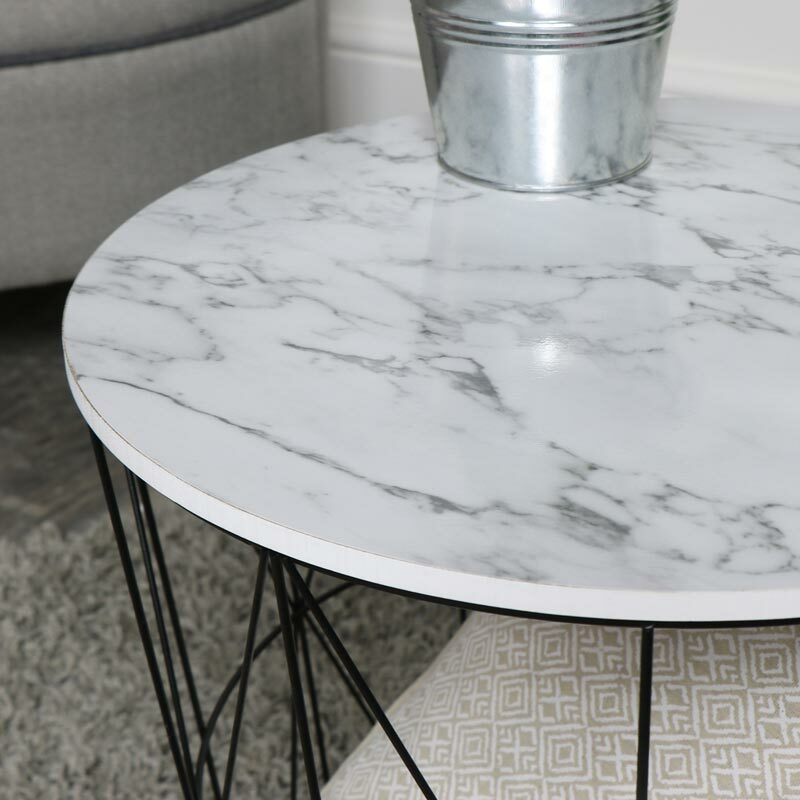 Perfect occasional or side table for a the modern, contemporary Scandi style living room. Basket base offering storage for smaller spaces or loft living style apartments. Table top sits snugly on the basket and can be easily removed. With even more tables in a great choice of colours and sizes available. Versatile table offering great storage with a practical purpose. Constructed with metal wire basket base in a black painted finish and round wooden top with marble effect covering.